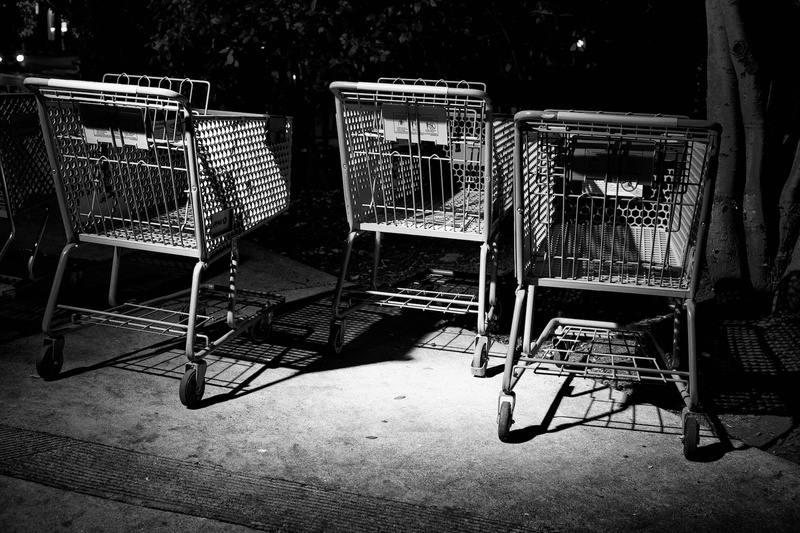 One person sees a bunch of abandoned shopping carts, I see a bunch of failed attempts at stealing shopping carts, failing to realize they have electronic locks that kill the wheels when they reach the end of the parking lot. I also imagine a kid running with the card, hopping on the back, gliding carefree and fast through the parking lot when, WHAM! Wheels lock and he lands in one of those bushes. I can be sinister like that. There’s also a René Descartes joke in here for the philosopher in all of us.